Catering to families at every turn, Moonlight Beach has a full playground, upscale snack bar and easy access from the free parking lot. The beach can get crowded, but Downtown Encinitas is within walking distance and Cottonwood Creek park is just west of the beach. A recent overhaul of the bathrooms and concession stand has made this beach even better for a San Diego family vacation. 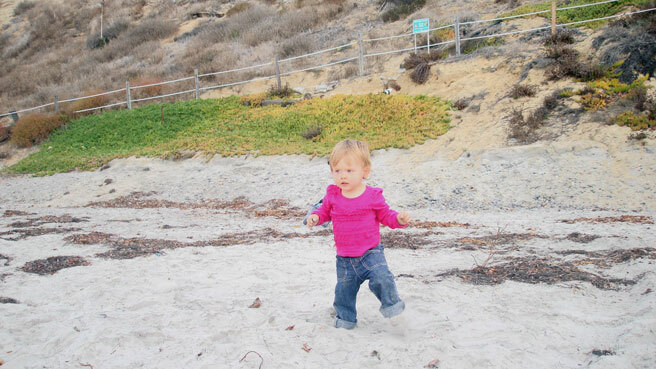 Atmosphere: Moonlight Beach has a family-friendly feel as the coastal centerpiece of small, “hippie” Encinitas. Shopping for odd art and vegan bumper stickers is just a few blocks away. Parking and Entrance: Park in the free lot off C Street or on the street at 3rd Street. A concrete stroller-friendly ramp goes directly from the lot to the beach and a plastic walkway on the sand allows easy access. 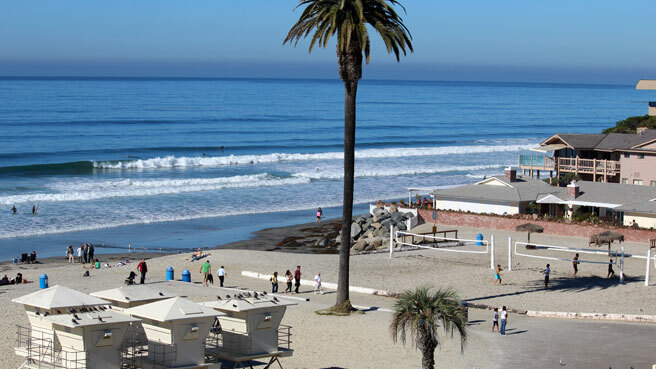 Nice Walks and Views: Walk up the hill to Downtown Encinitas or to the weekend flea market, Seaside Bazaar. Moonlight Beach Overlook has grass and benches and offers a pretty ocean view. 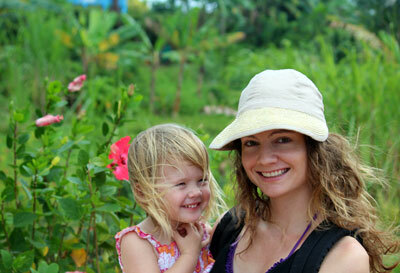 Activities for Toddlers: The well-maintained playground has small slides, climbing equipment, swings and a bridge. It’s one of the best playgrounds on a California beach! Bathrooms: Brand-new bathrooms and showers are at the bottom of the entrance ramp. 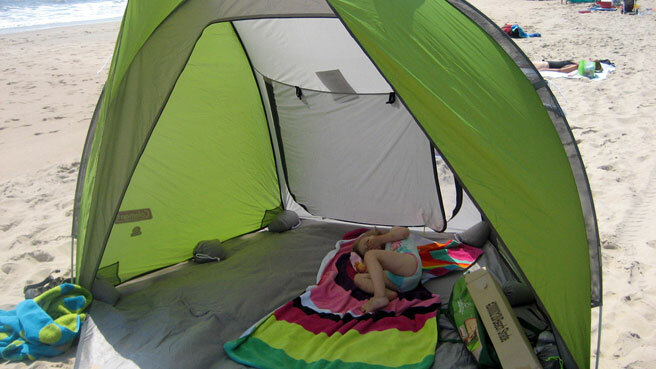 Two new family restrooms make it easy to change and de-sand baby before heading off. Perks for Parents: Volleyball nets, picnic tables, and all the lifeguards you could want. Further south is Swami’s, a beloved surf spot named for its proximity to the Self-Realization Fellowship Temple. Baby-friendly Restaurants: The concession stand on the beach serves warm breakfast and lunch items, as well as ice cream and other treats. For a healthy meal, try Lotus Cafe, a casual, mostly vegetarian place. The Taco Stand serves amazing tacos (including cactus ones!) and usually has a line. What Else to Do: Check out the Self-Realization Fellowship Temple and picturesque Meditation Gardens. San Diego Botanic Garden has two children’s gardens (one with a giant treehouse) and bug and fairy-themed family events year-round.